Download albums when you want them from right where you are! All CD titles are now available for instant download as high quality MP3s! Purchasing a MP3 download and burning your own CD will save you approximately $9.00 with the download discount and additional savings in shipping charges. Our music library is divided into two categories; one for phyciscal CDs, and one for downloadable music. All our MP3 files are sampled at 220kbs using the latest VBR (variable bit rate) sampeling technology. All tracks include embedded album cover artowrk and complete embedded ID tags for your convenience. All tracks come compressed into a .zip file for easy download and organization. All digital download purchasers will be required to create an account. 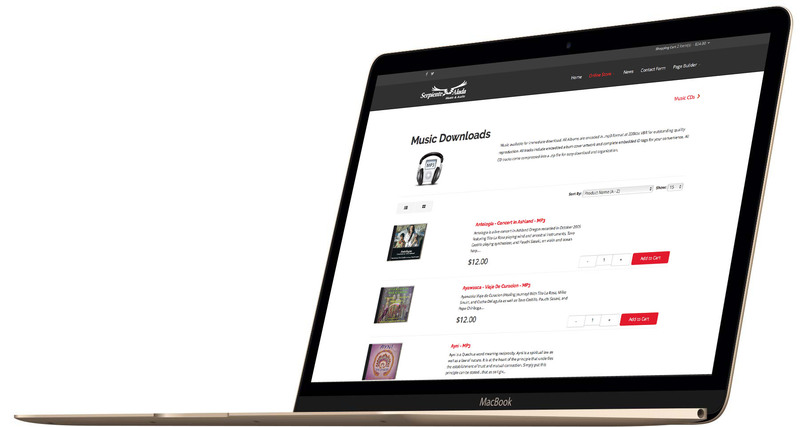 Your downloads will be available after purchase for download in the orders/downloads section of the store. We accept major credit cards and e-checks using Paypal’s trusted, secure system for online payment processing for our orders. We ship all items via USPS Priority Mail. If you plan to use a coupon code for a discounted price, enter the coupon's code as you go thru the check out process, at which time, the order's total will be adjusted.